Energies of the August 5/6 lunar eclipse are here now. This powerful energetic opening has been felt with increasing intensity in recent weeks. The third in a triad of summer eclipses, this cosmic doorway carries signatures for emotional sensitivity, spiritual knowing, psychic openings and the recognition of latent creative and artistic abilities. Interwoven with these signatures are the culminating and expanding frequencies of a full moon in Aquarius. 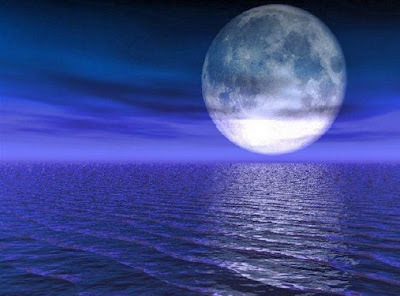 The full moon seeks to bring things to fruition, and in Aquarius it promotes themes of global unity, humanitarianism, creativity and inventiveness. A full moon is always powerful, but with a lunar eclipse, the energies are magnified tenfold. Aquarius, along with its ruler, Uranus, seeks to create transformation by bringing new perspectives to old situations. Aquarius/Uranus have a profound desire to bring advances in art, science, politics, and literature, and to pave the way for a new type of human understanding that fosters global unity and universal love. The themes of this lunar eclipse point the way to the shape and flow of life on Planet Earth in times to come. This week’s lunar eclipse is the last in a series of eclipses in Aquarius that began in February 2008. There will not be another eclipse in Aquarius for another eight years. Through this lens of time, it can be understood how this eclipse signals the end of an era and the beginning of the New Time. The energies are orienting human consciousness to an expanded time. The August 5/6 eclipse is the last in a triad of summer eclipses ushering in a series of reality shifts on Planet Earth. These shifts are occurring on different levels, including Earth changes, personal transformations and challenges, events on the world’s stage, and interdimensional openings. The lunar eclipse of July 6/7 lifted veils between dimensions, making it easier to receive messages and information from high-level guides and entities. It was followed by a total solar eclipse on July 21/22, the longest solar eclipse of the 21st-century. The energies of that powerful eclipse were designed to open heart centers and clear anything that stands in the way of unconditional love. This third summer eclipse is an opening that will allow greater access to other dimensions in consciousness. Because a lunar eclipse is created by the Earth’s positioning between sun and moon, it temporarily blocks the sun’s radiance from the moon, opening an energetic portal. This week’s ‘portal’ offers an opening to step free of linear time and experience beyond the space/time continuum. Spiritual undertakings already “on the table” at this time can manifest easily and effortlessly. This is especially the case for literary and creative efforts that carry the intention to assist others on a global scale. Humanitarian efforts receive a great boost at this time. Anything undertaken with the intention to assist or bring about the greatest good for all will take wings during this time of the August lunar eclipse. This is a time when it’s easy to make timeline and identity shifts, to adopt new regimens, spiritual practices and begin to see one’s self in a new and more expanded light. This is overall an excellent time to initiate positive change in your life, but being able to fully utilize these energies will require a willingness to release all that stands in the way of the next step of your path. As with all things, the old must be cleared to make way for the new. This full moon lunar eclipse has the power to crumble situations not aligned with the energies of the New Time. Relationships may end during this time as those newly awakened are called to examine which connections truly resonate. This can be a time of emotional instability as it seemingly becomes difficult to find any "solid ground" on which to stand. The only thing one can rely on during this time is one’s inner guidance. The moment of an eclipse is just the opening; its influence can extend into weeks, months and beyond. The portal created this week will extend into coming weeks and months. On a personal level, aspects in one’s astrology chart determine the intensity and timing of eclipse influences. Those with aspects in Leo and Aquarius are likely to feel this eclipse more intensely than others. If the energies feel overwhelming, it’s a good time to consult a professional astrologer to understand what is being asked of you at this time. This is a time to daily enter a place of openness and allowing. Whatever comes before you this week, remain in a place of compassion, patience and understanding for yourself and others. Bring your focus to themes of teamwork, progress, change, humanitarian goals, global unity and unconditional love. 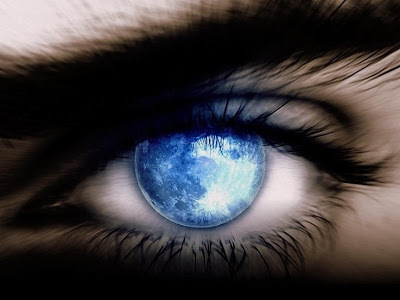 Hold in awareness your highest vision for your long-term dreams and goals and ask your guides for steps of how you can greatly advance manifestations at this time. There will be a "reactivation" of this week’s themes as retrograding brings them to the forefront again in November 2009 and in January 2010. Evolution is Speeding Up !